I’m enjoying your ghost story reviews (and may check out your day #2 offering), and I have checked out your reading list over on Patreon. That’s quite a project! I’m curious about some things. What got you interested in ghost stories? I know why I enjoy them – love of a good story, combined with a sense that there is ‘more’ out there than meets the eye, and no doubt enhanced by the stories my nursing coworkers tell each other. But you are clearly fascinated enough to spend significant time on them. I know you are a historian. Do they reflect the local history? Collectively form an oral history of a region? Is it the folklore aspect? I imagine the stories reflect the concerns of the people of the times when they were told. Also, do you notice any trends or themes. Some stories are undoubtedly affected by geography (no ghost ships in the mountains, for example). But are there differences between cultural groups, or time periods? Or are some themes more common or universal? Reflective of the human condition as it were? Are the newer stories different than older ones? Thanks, Rebecca! That’s probably a very long story, since I’ve always been fascinated by ghost stories and horror. 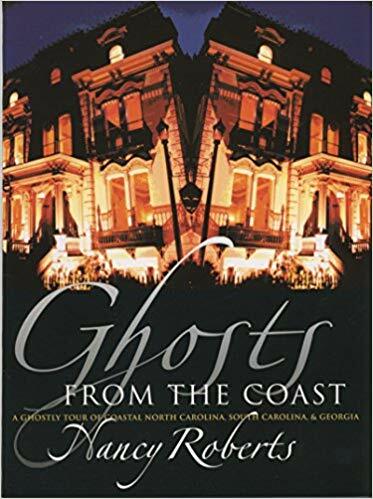 It probably stems somewhat from my turbulent childhood, but the main reasons I think of now are that ghost stories preserve folklore and other oral history for a long time that otherwise might have been forgotten, and that the idea of the supernatural envisions a universe full of infinite possibilities. Also, if there are ghosts, there is probably an afterlife. And the existence of demons means that angels must exist. And if angels exist, so does God.